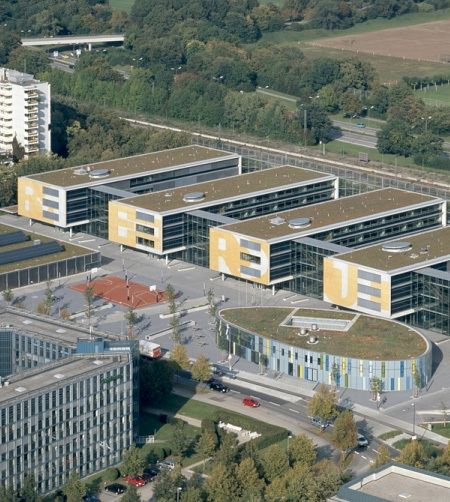 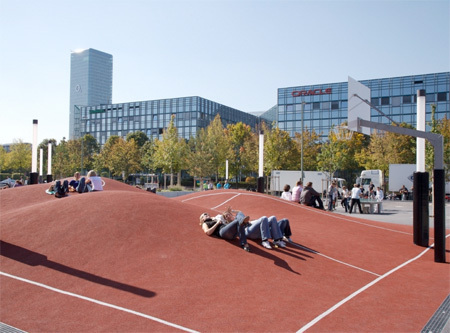 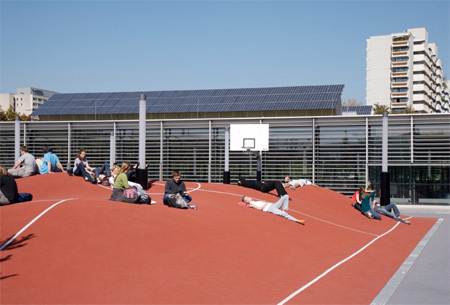 The world’s most unusual basketball court is located in Munich, Germany. 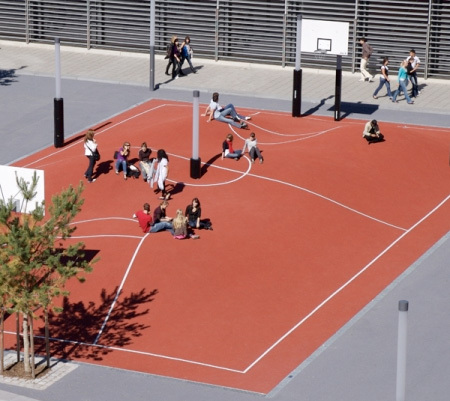 Designed by Inges Idee, this basketball court has been shaped in a 3D program on a computer to look like a roller coaster. 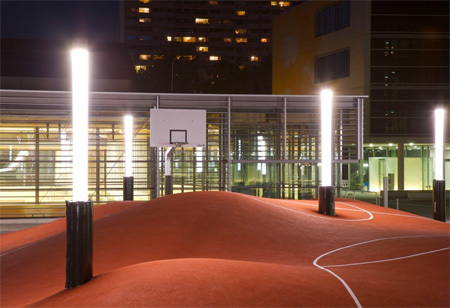 To make the game even harder, street lamps were installed on the court.